It all started with the Drama Llama! 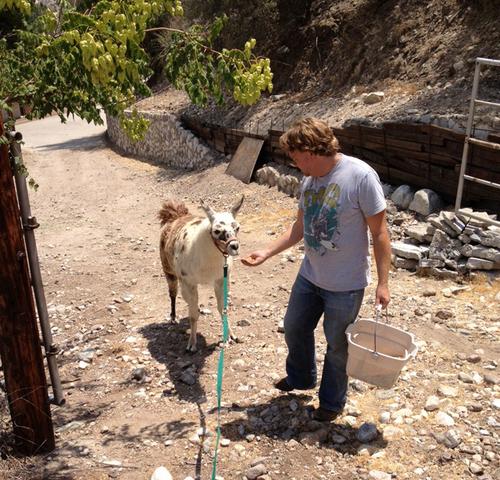 After a full year of getting settled into the new property, I had convinced Michael we could handle some camelids. Out here we have coyotes and other predators, so we needed to start with a guard llama to protect our herd. In July the opportunity presented itself to get a young llama that was 4 years old. We went a nearby ranch to visit him and decided he would make a great addition to the ranch. We had no idea what we were getting ourselves into. 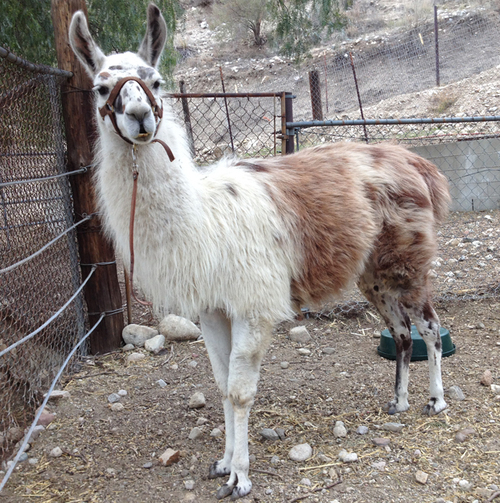 Papa the Drama Llama arrived and we found out very quickly just how stubborn a llama can be. The previous owner was not able to drive the trailer up to the paddock, so he dropped him off and we were left with the task of walking a suspicious llama up the hill. We tried treats. We pushed. We pulled. Our new stubborn llama was not going to have it. 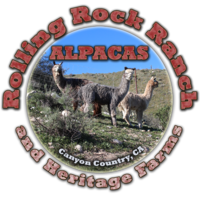 Have you ever tried to push a llama up a hill that has all four feet firmly planted into the ground? Several hours later we finally got him to his new home. He has warmed up to us a little, well as much as llama warms up. Now Patron (Papa) is the ever vigilant protector of the herd. Always listening, always watching and always the first check out what is going on. But he will always be our Drama Llama!